From the classroom to the office, the OptiPlex 3011 all-in-one offers a cost-effective, space-saving desktop PC that easily integrates into your environment. Work comfortably in virtually any position with flexible VESA mounting options. Take on your challenging assignments with a high-performance OptiPlex featuring powerful Intel® Core™ processors. Boost productivity with up to 3rd Gen Intel® Core™ i3 or Intel® Core™ i5 processors. Choose Windows 7 Professional or Windows 8 Pro for easy productivity. Accelerate your video performance with optional AMD discrete graphics. Communicate, collaborate and share across your entire office or campus with a full set of features to help you connect and interact. Connect using Wireless LAN, Gigabit Ethernet (GbE). Easily set up VoIP using the integrated front microphone and headphone mini jacks. Support fast data transfers with native high-speed USB 3.0. 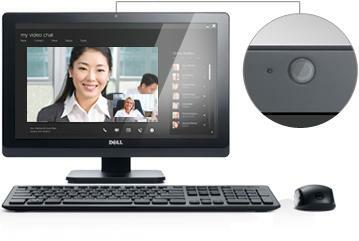 Communicate face-to-face with an optional high-definition (HD) camera, Microsoft Lync and Lync-certified headsets. Keep IT running smoothly and your desktops under control with powerful management features. Easily deploy and manage your PCs with Dell driver packs and configuration tools. Reduce costs to set up, monitor and update systems with Dell’s automated update packages and Dell KACE systems management appliances. Enhance the security and management of your OptiPlex systems with robust, integrated solutions. Dell Data Protection helps you secure data and control user access with flexible, easily managed solutions. Dell Systems Management with Dell KACE offers centralized and automated management to help reduce administration time and costs. Dell Cloud Desktop and Dell Cloud Client Computing can improve service delivery to your desktops and help safeguard your data. 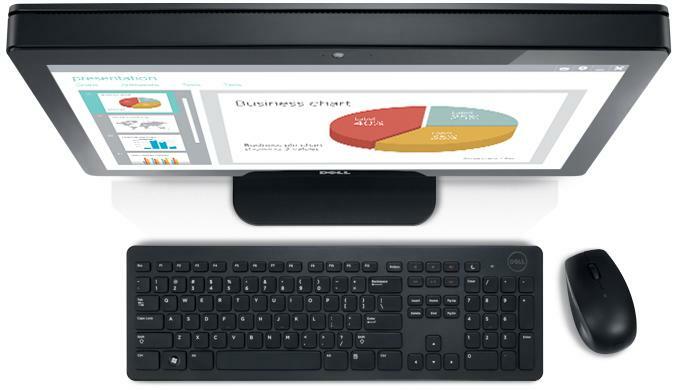 Complete your OptiPlex 3011 all-in-one with a wireless keyboard and mouse, external hard drive or color laser printer. Look for these great products and more at checkout.